Thanks to the joys of social media, it’s much easier to tap into the trends that are getting people talking. Pinterest is the place to go if you’re embarking on a home project as it’s filled with a wealth of inspiration. Over on the grid, otherwise known as Instagram, you’ll discover all sorts of beautiful photographs of homes for us to swoon over. And very often it’s the paint choices which encourage us to hit the ‘like’ button. 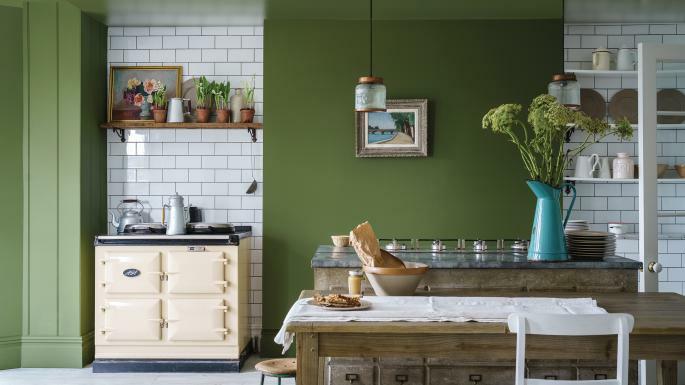 The problem is that, while you might be inspired by a stunning paint colour you’ve spotted online, it may not always work in your home. 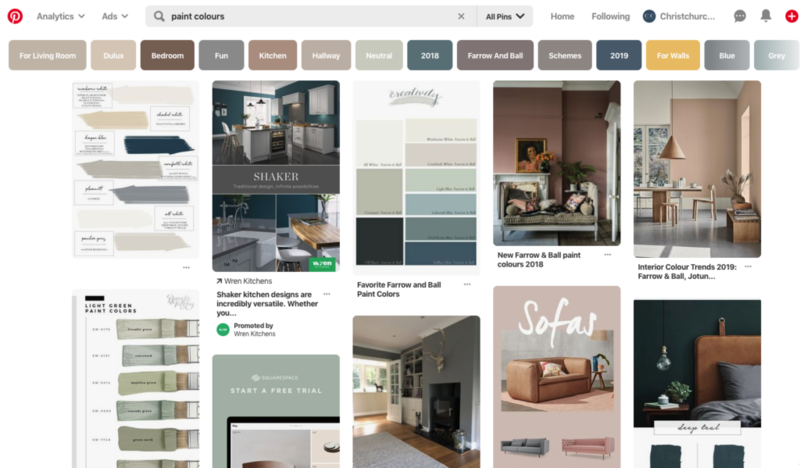 The key is to look at social media for ideas to help you choose paint colours, However, you should take the lead from your own fabrics and furnishings. Bold, patterned curtains, a colourful textured rug or the shade of your sofa, will all decipher what will work. For those who worry about choosing paint colours and moving away from safe neutrals, don’t be. Grey certainly has its place in the home, but perhaps it’s time to embrace some colour in the living room. The current trend for blush pinks, emerald greens and inky blues is prompting us to be braver than ever before. So have fun, be bold and experiment! South facing: If you’re lucky to be decorating a south-facing room, enjoy the freedom as most colours will work well. South-facing rooms tend to have lots of sunny, natural light so both cool and dark shades will look fantastic. 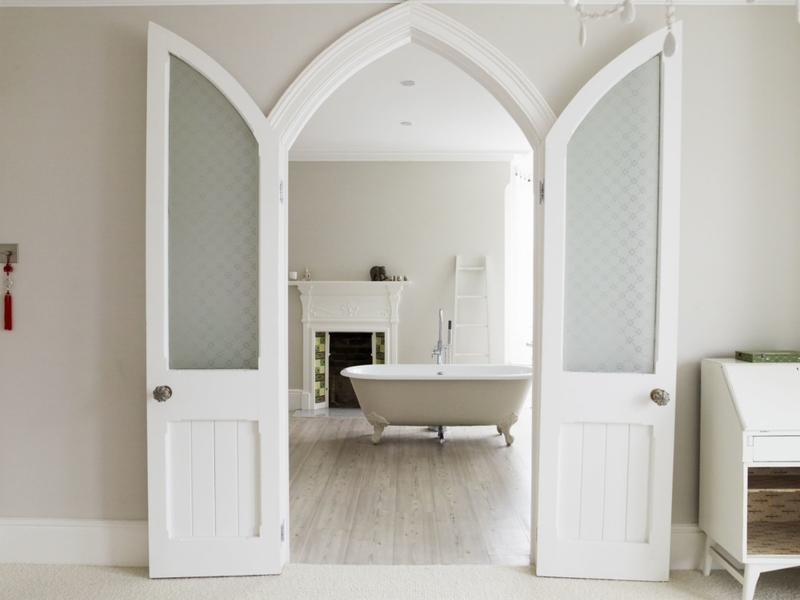 In our studio, we’re currently crushing on Farrow & Ball’s Bancha as seen here. It’s perfect for those who want to embrace stronger colours in the home. For classy neutrals on the other hand, try Designers Guild Poivre Blanc No 26 or Farrow & Ball Skimming Stone. East or West facing: An east-facing room will have plenty of light in the morning, but that will dwindle away as the day rolls on. West-facing rooms will feel colder first thing, but warm up by the afternoon. Try experimenting with blue or green shades. Yes, we’re back to green – well, it’s one of our favourite colours! However, we do love blue too… Remember the natural light will change throughout the day, so check how your paint looks in artificial lighting, too. Craig & Rose have some beautiful green colours and right now, this gorgeous Napleonic Blue by Annie Sloan is one of our favourites. North facing: These rooms are notoriously trickier to decorate because they don’t receive as much warmth and the light will feel darker. Avoid anything too white or light grey, especially if it has cool undertones. Instead, keep things warm with cosy neutrals that are inviting and have a pink or yellow undertone. Rich, cocooning jewel colours are also a winning choice. Take a look at Little Greene Mid Azure 2 or Farrow & Ball Stiffkey Blue to create a cosy and intimate feel. We think it’s impossible to get a true representation of a paint colour by just looking at a screen or colour chart. Our best advice is to get some tester pots of paint and try them out on large pieces of cardboard. Cut the cardboard down so it’s at least A4 in size and apply three coats of your chosen paint. Tack the cardboard cut-outs to different places in the room and see how you feel about the colour throughout the day. Don’t rush to make a decision, mull it over for a few days and get advice from family and friends, too. 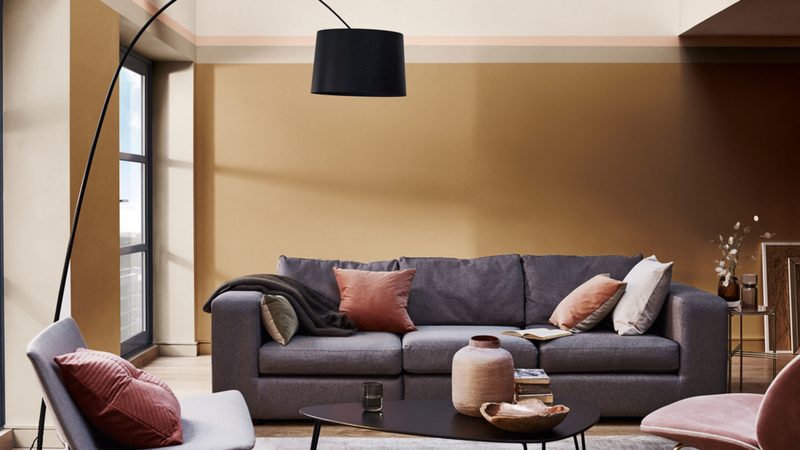 For example, we love Dulux’s Colour of the Year 2019, Spiced Honey shown here in this living room space. However, in a room with little light, for example, it may not look quite so gorgeous. If you’re still struggling to select a shade, take a peek at Valspar and their paint mixing service. Using a unique colour matching technology, they claim to be able to recreate any colour that the eye can see. Just take a colour sample in and hey presto! They can also provide you with a £3 tester pot so you can go home and experiment. Dulux offers a fantastic (and free) Visualizer App which aims to give you the confidence to try new colours. The App lets you photograph or video colour from anywhere; from a bunch of flowers to an armchair. 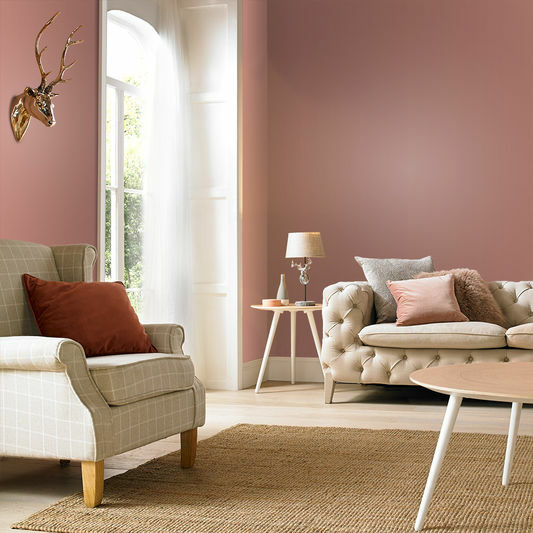 Once uploaded you can then see how that colour will look in different rooms in your house. How cool is that? If that isn’t enough, it could be time to explore a Colour Consultancy Service. With prices starting at around £150, brands like Farrow & Ball, Little Greene, Craig & Rose (don’t you just love Little Greene’s Mid Azure 2 shown here?) all offer this experience. By visiting your home, they will take into account your furnishings, fabrics and the way the house works for you. The result will be a seamless selection of colours that complement your house beautifully. 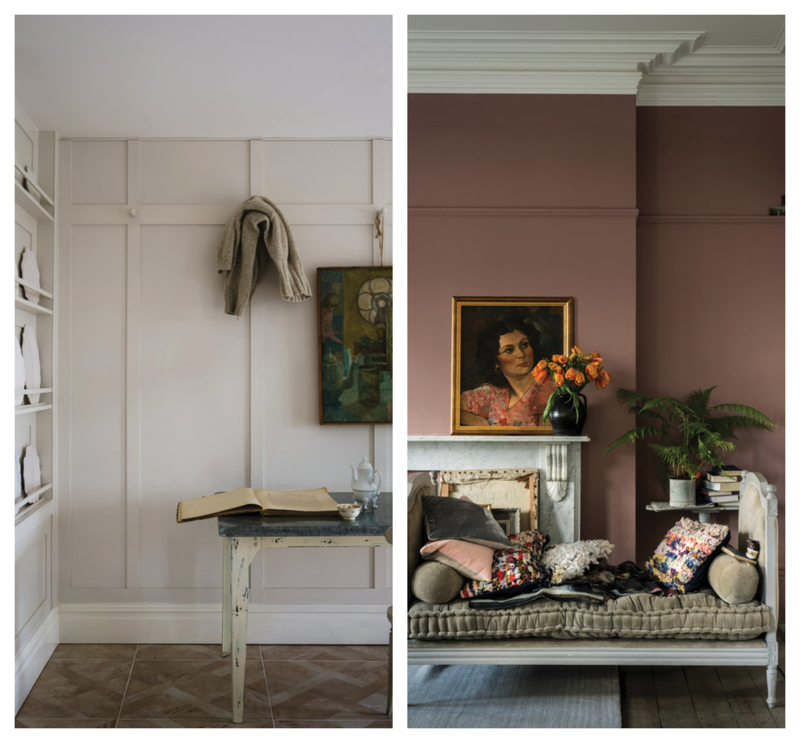 Farrow & Ball paints have become favourites with industry experts because of their unique depth of colour, high quality ingredients and beautiful finish. 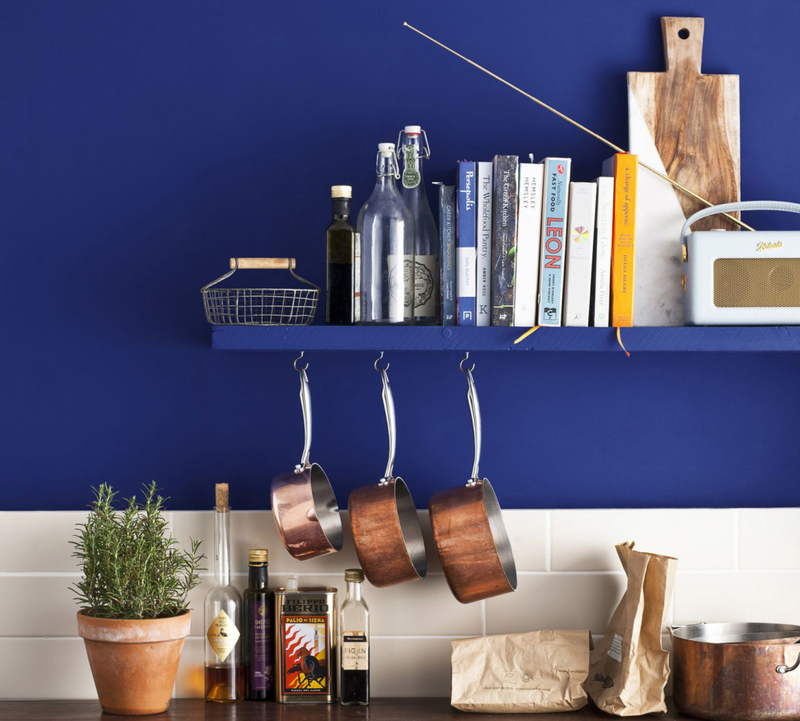 Whether you fancy painting your kitchen Skimming Stone, or your lounge Stiffkey Blue, we’re giving away a £100 voucher to help kick-start your decorating. To be in the chance of winning, simply FOLLOW the Christchurch Creative Twitter account (@CCreative4) and RETWEET our competition post. The winner will be chosen at random, after the closing date, midnight on May 14th 2019, and will be notified accordingly. Good luck! * You are providing your information to Christchurch Creative, not Twitter, Facebook, Instagram or Farrow & Ball. * You must be aged 18 or over to enter this competition. * Entrants must live in the UK. * Closing date for all entries is midnight May 14th 2019. * We will select a winner at random from Wednesday May 15th 2019. We will then notify them with a direct message by Thursday 16th May. * This promotion is in no way sponsored, endorsed or administered by or associated with Twitter, Facebook or Instagram. * The prize is non-transferable and no cash alternative will be given. * Winner has 48 hours to respond to the notification that they’ve won. If we do not hear back from you, we reserve the right to choose another winner.